When we were little, our grandparents were catering for our every whim. And now, having grown up, we try to return a favor with our love and care. Many people see their grandparents only on holidays. Fortunately, there are some who have more time to spend alongside their close ones. For example, a girl named Rachel cooks cleans and reads for her grandfather. But there is more. Once, she tried to cheer up her 93-year-old relative, suffering from Alzheimer’s disease, with a dance. When she reached out to him inviting him to join, she didn’t expect that level of skill! Then she decided to shoot their training and post it on YouTube. The video instantly went viral! This girl genuinely cares about her granddad. Despite his illness, he is sure to live through a few more decades with such a granddaughter. In the time of dying, many people regret not having done so much. This man will definitely think he did well raising such a decent girl. 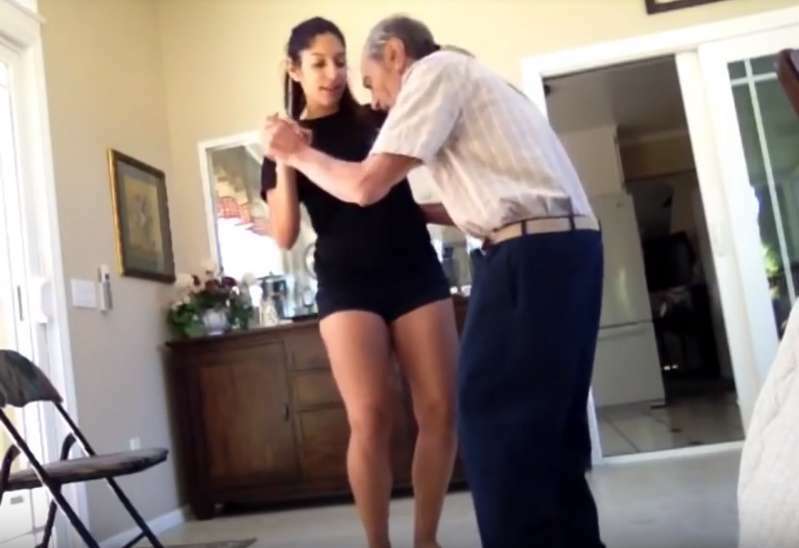 Let’s watch and enjoy this video of a vibrant young lady and her grandpa dancing. Such people give hope to this world. Share this video with your kids and grandkids. It must have some good influence on them!